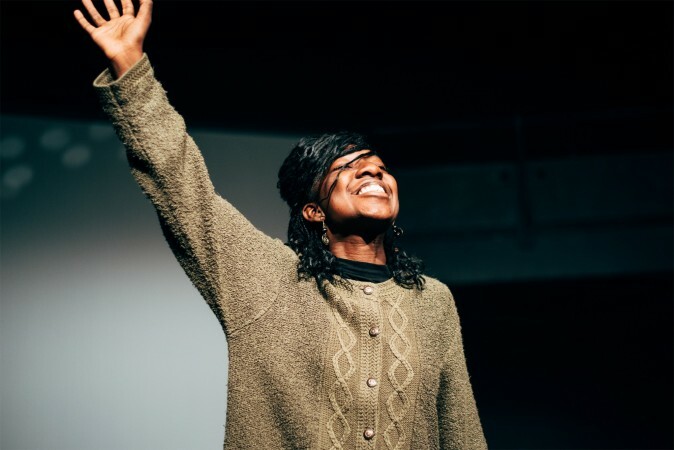 Curried Goat and Fishfingers is an enthusiastic mix of discussion, skit, performance poetry and musical theatre which came together to create the first of two, one-hour performances in the Bristol Old Vic Studio on Saturday evening. Directed by Nancy Medina and written and performed by Bristol’s own Edson Burton and Miles Chambers, the piece explores the paths the performers’ families took in emigrating to the UK, and provide snapshots into their individual experiences of growing up in British society. 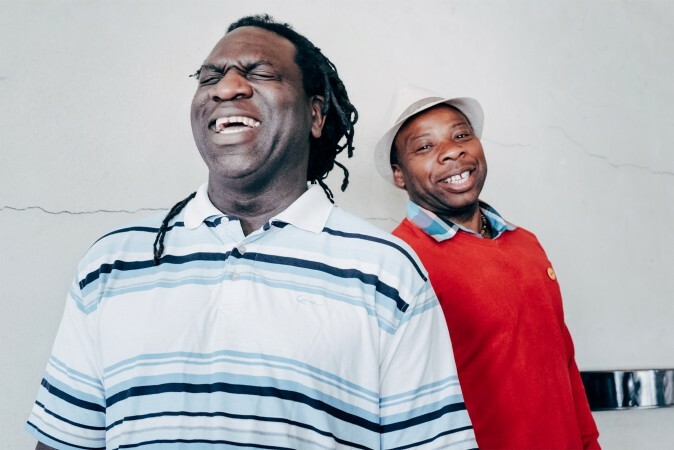 Edson and Miles are clearly good friends, who have enjoyed working together on this project; reminiscing and further investigating what it means to be Black and British. While active members in Bristol’s multi-faceted creative community for many years, this is their first attempt at a collaborative stage performance. Overall, the somewhat unpolished hour was full of energy, wit and emotion which was enjoyed by a warm and receptive audience. Art is about provoking a reaction. As a consumer of art, whether it be in the form of a poem, painting, film or stage performance, I want it to make me feel something. Check the Label, the second-half of Saturday’s double-bill did just that. Directed by Tanuja Amarasuriya and written and performed by the talented Eno Mfon, Check the Label was the unsettling surprise performance of the evening. Utilising media clips of product ads and celebrity interviews intertwined with story-telling, poetry and a few brilliant moments of mime-acting, the piece explores prejudices and mindsets about skin colour within the black community. Mfon has written an accessible and alarming account of her experience as a young black woman in modern day society where women go to dangerous lengths to be just a shade lighter. Her account of childhood memories where she first began to learn what was and was not considered pretty point to a damaging mentality that lighter is better. Disturbing recordings of famous male rappers expressing their preference for light-skinned black women, followed by clip after clip of music videos showcasing black women who fit a specific light-skinned, straight-haired ideal, provoked such stirring emotions from the audience, the reactions were audible. The performance brought about feelings of outrage and sadness at how so many women suffer at the hands of low self-worth. Check the Label, and work like this, goes a long way in bringing these issues out into the open to be challenged and debated. I left feeling both educated and entertained and with a hope of seeing more from this young, ambitious writer.